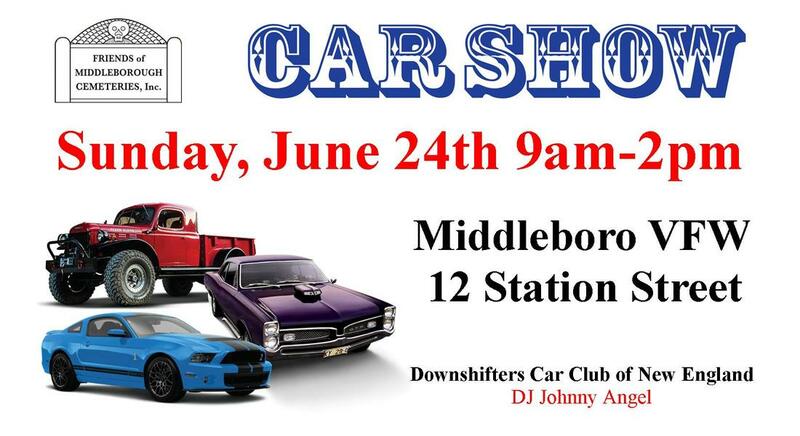 Thanks to the Downshifters Car Club of New England and DJ Johnny Angel for making our 1st ever Car Show a reality! Join us on Sunday, June 24th, 2018! Admission is FREE to Spectators. Food and snacks are available for purchase on the grounds and meals are available inside the VFW. The FoMC will be raffling items as well as holding a 50/50 cash raffle. DJ Johnny Angel will be spinning the Rock & Roll. Admission is $10 per car, with NO preregistration required. Dash plaques will be given to the first 75 entries. Judging begins at 11:30am and the awards will be presented at 1pm.